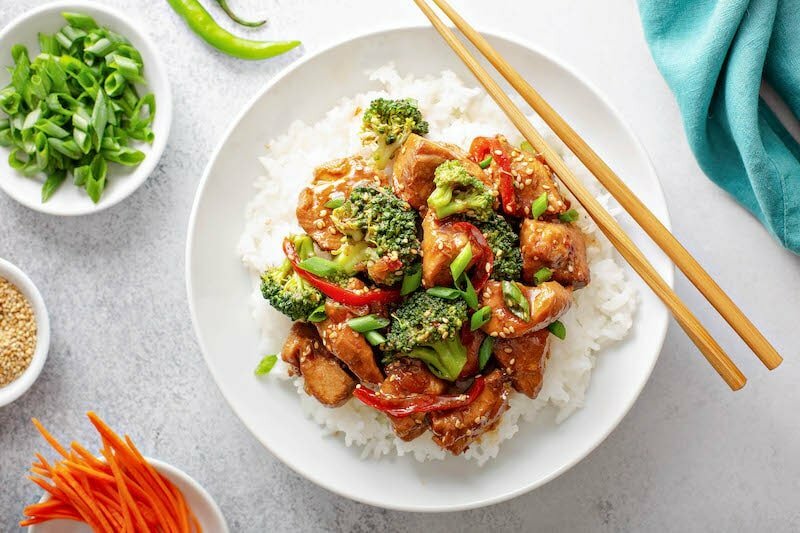 Crockpot Sesame Chicken: this easy crockpot chicken recipe makes a great weeknight dinner, is kid friendly and is a great meal prep chicken recipe to freeze! 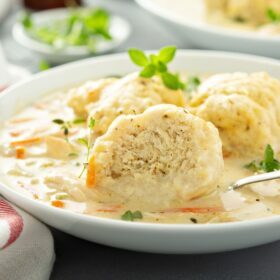 If you are looking for a versatile easy weeknight crockpot chicken recipe, this is absolutely my new favorite. Besides the fact that it tastes wonderful, you can also meal prep it on Sunday for the week or prep it months ahead and freeze it! I love any meal that can be a freezer meal. Then all you have to do when you are ready to eat is take it out of the freezer! 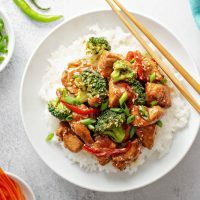 You can easily make this Crockpot Sesame Chicken work for your family by adjusting the sweetness, spiciness or vegetables added to it by tweaking a few ingredients. Below I will share exactly how to make it your own and how to turn it into a freezer friendly meal if you want to! 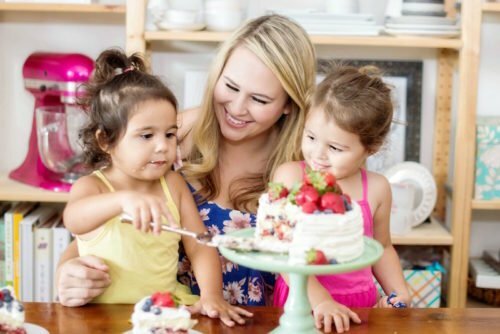 This recipe is very simple ingredient wise and you can easily swap out or add extra of certain ingredients to change it to fit your families tastes best. For starters, this sauce has a few key ingredients that make that flavorful sauce we all love: soy sauce, honey, tomato paste (or some people use ketchup!) and sesame seeds. As I already mentioned, you can swap the tomato paste for ketchup if it’s what you have on hand. However, I do prefer the thicker tomato paste in this recipe versus ketchup. 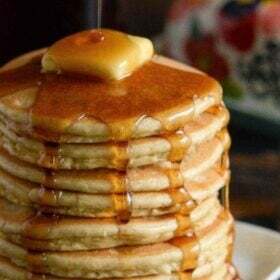 If you like an extra sweet sauce, you can add extra honey. And on the flip side, you can of course use a little less honey to cut down on the sugar count. As for spice, adding extra red pepper flakes, or sriracha, will definitely step up the heat in your sauce! One of the last big choices is vegetables. 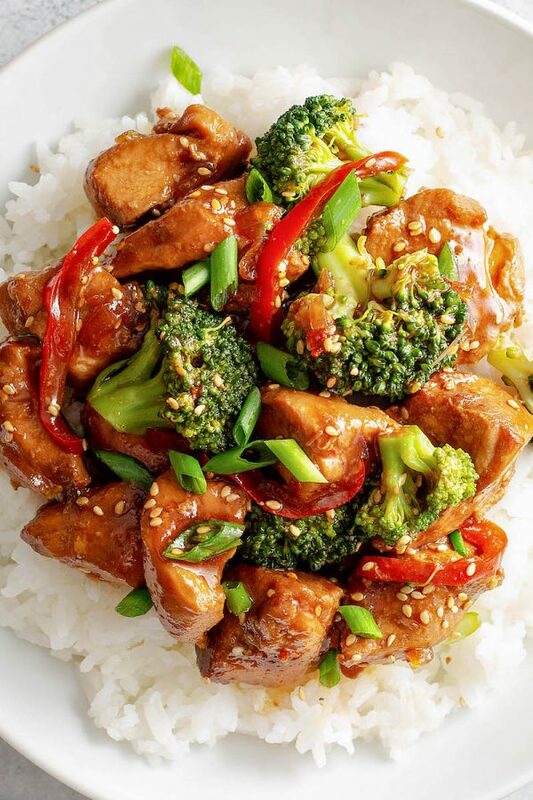 You can use whatever type of vegetables you enjoy in your slow cooker Sesame Chicken! Personally, I recommend using sliced red peppers in the crockpot cooking with the chicken. They add great flavor and I enjoy the taste they add after cooking all day. I also like to add broccoli, however I quickly steam fresh broccoli in the microwave and toss it in the sauce with the chicken before serving so it stays crisp tender…not soggy! Other vegetable ideas: snap peas, cauliflower, yellow/orange bell peppers, or carrots. Crockpot Sesame Chicken: which cut of meat should I use? I recommend chicken breasts or thigh meat. Either works great, it’s totally a personal choice! The one recommendation I do have, please cut your meat into chunks, don’t leave it whole and shred it. If you shred the chicken instead of leaving it in chunks, like in the above photo, the chicken texture will be completely different. Also the sauce to chicken bites ratio will be quite off. You might wind up with more of a Crockpot Sesame Chicken soup instead. 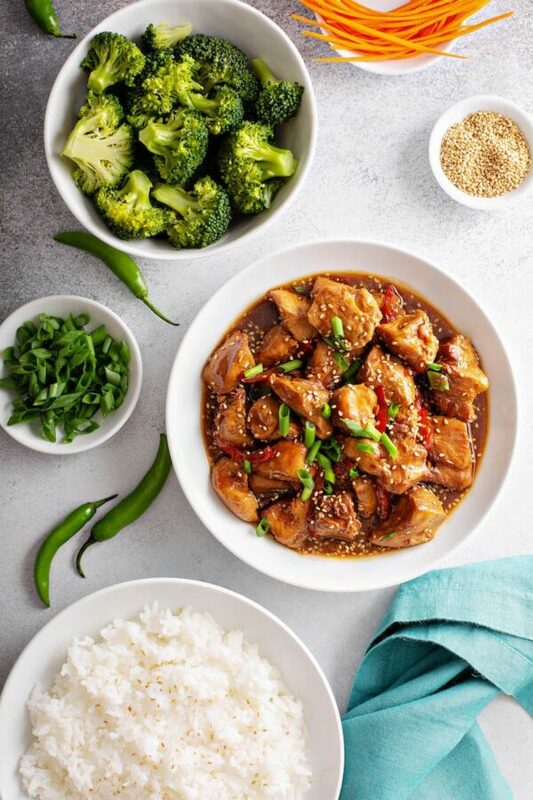 If you want to prepare your Crockpot Sesame Chicken ahead of time, you have two options: store it in the fridge or freezer. 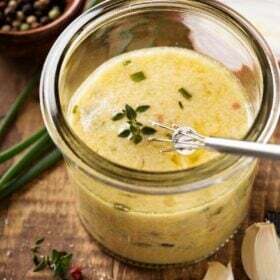 If you are prepping it a few days ahead of when you want to make it, prepare the sauce as directed below and toss in the chicken and vegetables of choice. Store the uncooked meal in the refrigerator, in an airtight container (or ziplock bag), for up to 3 to 4 days (depending on the best by date on your chicken). When you are ready to prepare it, just toss it into the crockpot and cook it as directed below in the recipe. 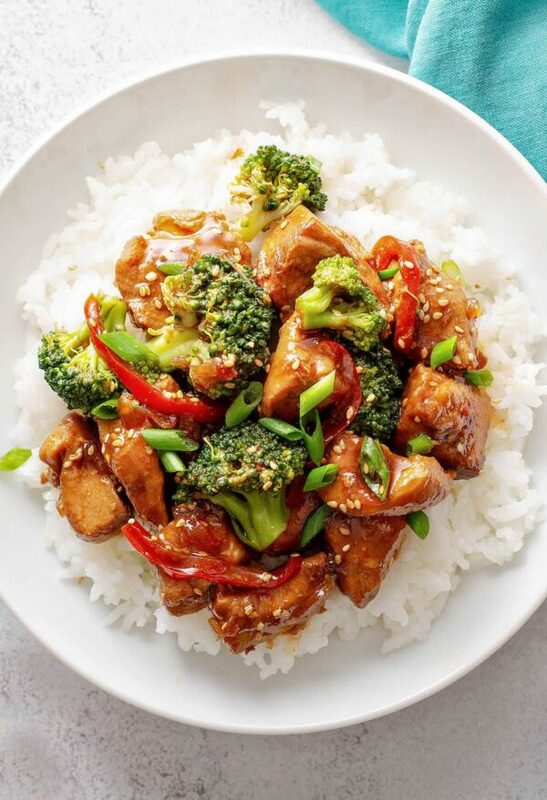 If you would like to turn your sesame chicken into a freezer meal, prepare the sauce as directed below and toss in the chicken and veggies of choice. Transfer the uncooked meal into a ziplock bag. Make sure and remove all the air from the ziplock bag and freeze completely. Store in the freezer for up to 3 months. When you are ready to prepare the Crockpot Sesame Chicken, remove it from the freezer and run it under warm water just long enough to get it out of the ziplock bag. It will still be frozen, you just want to be able to remove it from the bag and transfer it into the crockpot. Add an extra hour to the cooking time as directed below and it will be good to go! Alternatively, if you are a better planner than I am, you can thaw the frozen sesame chicken in the refrigerator for two days for you would like to cook it. Then cook the thawed sesame chicken as directed below in the recipe. This Slow Cooker Sesame Chicken could not be any easier, but you wouldn’t know that from the flavor! With the addition of the honey and garlic, I think this crockpot recipe surpasses the standard Chinese take out version. Plus, since it’s not coated in flour and fried, it’s healthier and gluten free! Winner! I hope your family loves this Crockpot Sesame Chicken as much as mine does. 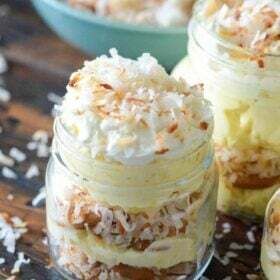 It’s so easy to make and is a life savor in the middle of a busy week! Make sure and leave a review of how it turns out for you below in the comments! 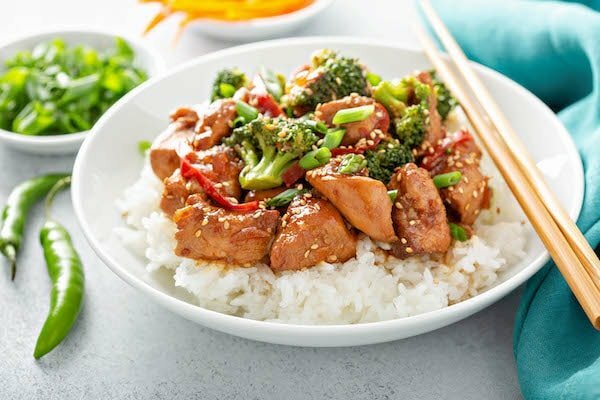 Crockpot Sesame Chicken: this easy crockpot chicken recipe makes a great weeknight dinner, is kid friendly and an excellent meal prep chicken recipe to freeze! In a large bowl, whisk together soy sauce and cornstarch until smooth. Add honey, tomato paste, diced onion, garlic and crushed red pepper. Add chicken and bell pepper to sauce, toss to coat. Serve over rice and broccoli, as desired. Top with sesame seeds and green onion. Recipe Note: I gently toss the freshly steamed broccoli in the sauce with the chicken and serve it all over rice! If you would like to freeze this meal or prepare it ahead of time, please scroll up to the middle of the post where I tell you how to do both! Slow Cooker Liners for EASY cleanup! Tomato Paste in a tube! Easy storage, no waste! This will be definitely added to the weeknight meals. Love that it’s crockpot! 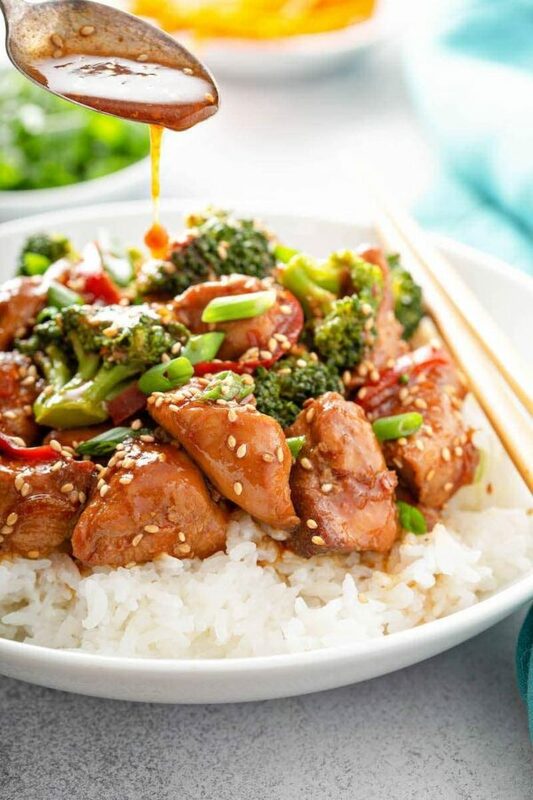 Sesame chicken is one of my favorites! Love that you can make it in the slow cooker now so no more take out for us! 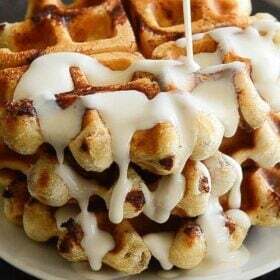 This is such a wonderful dish! My family would really enjoy it!! For the amazing recipe! 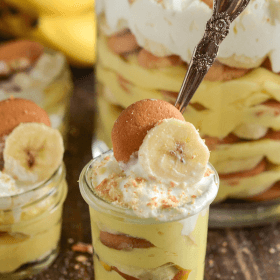 This is so tasty and so easy! Looks so fabulous and festive! Definitely having this on my table, so tasty and flavorful! This looks like such an awesome meal!